This may be one of the longest engagement session blog posts ever, but that’s because Rose and Andy are so much FUN. 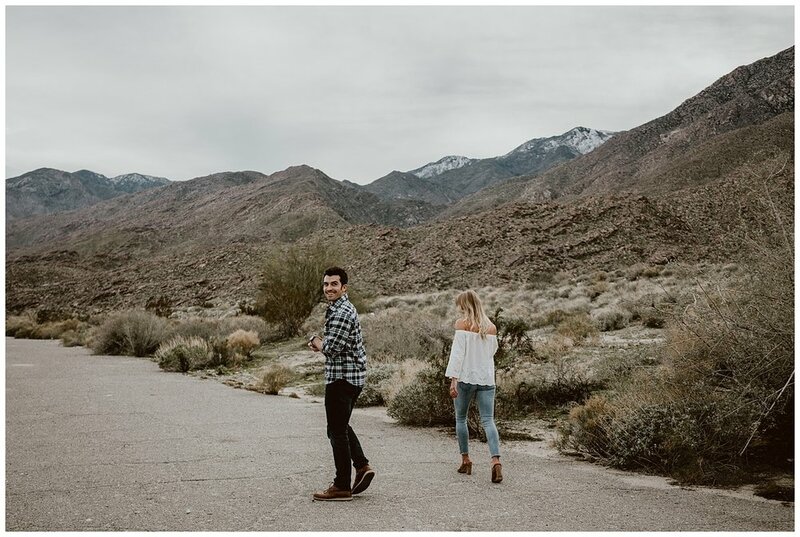 We met up with Rose and Andy in Palm Springs for their engagement session. 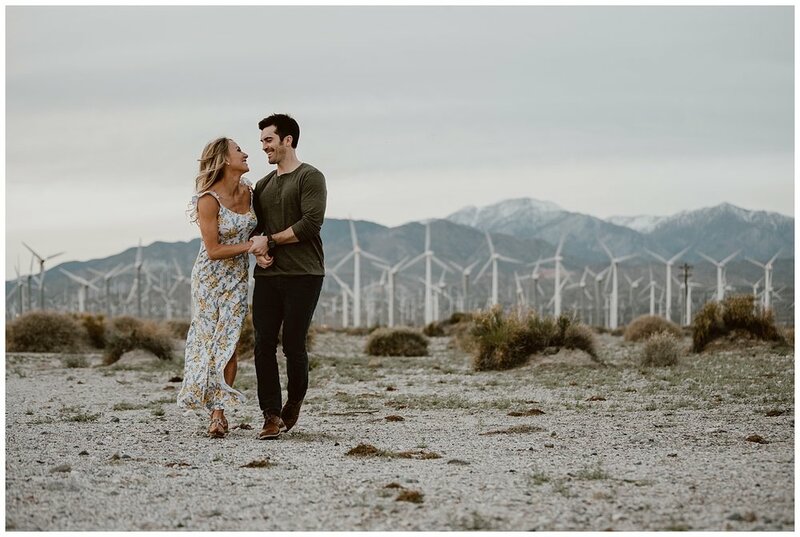 They came all the way from Texas to run around the desert with us and check out some locations for their wedding day. We started our session out at the beautiful Moorten Botanical Garden to check out their Cactarium. This place is a Palm Springs staple and such a great place to visit not to mention it has tons of beautiful places for photos. Walking around the garden it was so nice getting to know Rose and Andy more, we kept taking breaks to just chat. I think a few times we forgot what we were doing! After leaving Moorten’s we headed to the windmills. I don’t know what it is about these massive windmills but they are such a great backdrop and very cool to see. 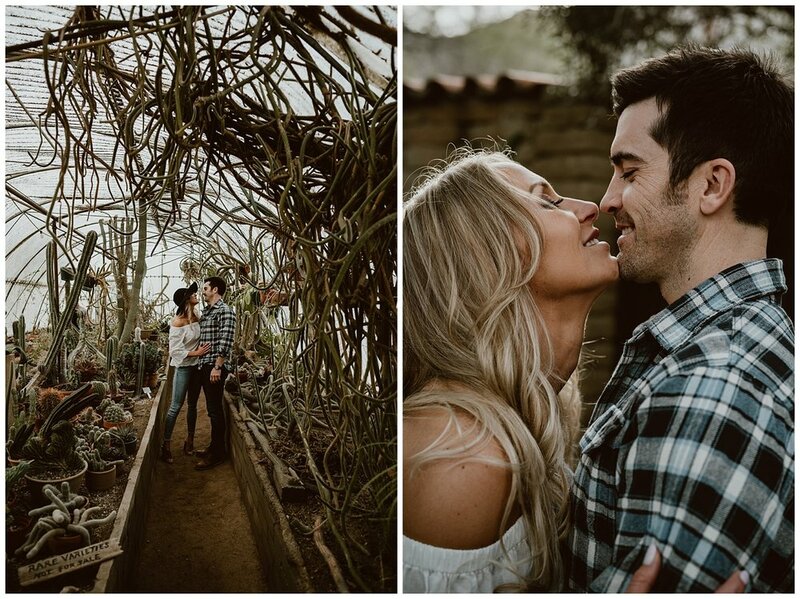 Rose and Andy hugged, ran, played and kissed their way all through Palm Springs and the camera loved them. We had an amazing time with them and it was so good getting to know them.